For fans of technology, 2016 has been another extraordinary year, filled with all sorts of exciting and delighting developments. But it seems fair to say that few companies have come close to matching Microsoft in the sheer breadth and scale of its accomplishments over the last twelve months. Of course, let's not get too carried away - it's not like Microsoft completely changed the world in 2016. But what we saw from the Redmond giant over this past year was a far more ambitious and more confident company than ever before, which delivered some significant improvements, and released some remarkable new products. But perhaps Microsoft's greatest achievement this year was that it got people talking about the company with genuine interest, and even excitement. 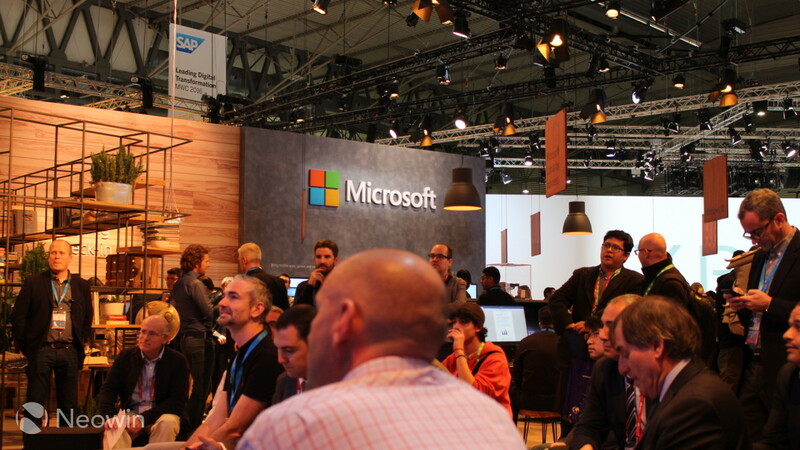 Microsoft's closest rivals, by comparison, had somewhat more mixed results. 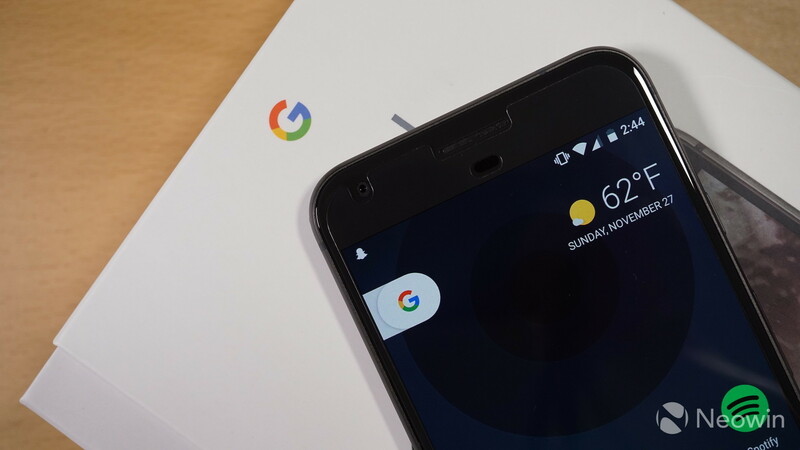 Google ditched its much-loved Nexus brand and introduced its new Pixel flagship phones - but while they're certainly very capable devices, they haven't exactly reinvented the wheel when it comes to Android handsets. Another new version of Android, 7.0 Nougat, arrived as well (and now version 7.1.1 too) - but while there are some nice additions and improvements, few people have got to enjoy them so far, with only 0.4% of devices running Nougat over three months after its release. With much fanfare, Google introduced two new messaging apps in May, called Allo and Duo - but they haven't been the runaway success the company would have liked. And Google also massively scaled back its ambitions in one truly exciting area, ditching the development of its own purpose-built self-driving car, and instead realigning its efforts around creating and selling that technology to other manufacturers. Apple's year was marred by a series of disappointments. With typical bluster, it hyped up its new MacBook Pro notebooks beyond all belief - particularly the keyboard-bound Touch Bar that the company touted as some innovative, brand new idea that only Apple could think of, despite it being a refinement of old ideas tried by other companies. Aside from the underwhelming battery life (a problem that Apple solved by removing the estimated battery time indicator from its OS), the high cost of the new laptops was particularly unwelcome, given the usability nightmare that Apple created in forcing owners towards 'dongle hell', thanks to its total disregard for compatibility with other devices, including its own iPhones. 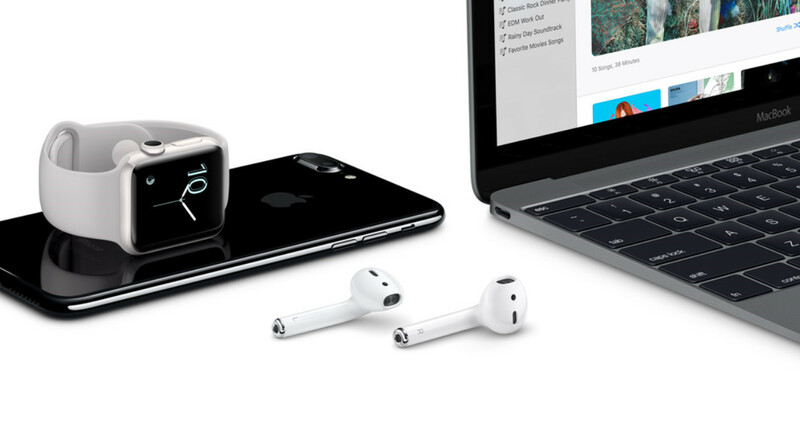 Then there was the removal of the headphone jack from the new iPhones, a problem that Apple solved by launching its wireless AirPods - almost two months late - and with which some users are now reporting battery life issues. It released updates that did more harm than good, like the watchOS update that bricked Apple Watches. And of course, what everyone really wanted was new Mac desktops, which are long overdue - so naturally, Apple ignored everyone and delivered nothing on that front. It wasn't all that long ago that Microsoft was thought of as a dull, bland corporation - and to some extent, it's struggled to shake off that image, despite its considerable efforts to do so. But in 2016, Microsoft seemed to break through those antiquated perceptions like never before. In October, Mashable wrote "Admit it: Microsoft is now a braver, more innovative company than Apple", and The Verge published a similar article praising Microsoft for its more bold outlook for desktop computing. Microsoft has succeeded - to some degree - in changing how people think about the company, but it hasn't always done so for the better over the past year. In September, it announced that Windows 10 was installed on over 400 million devices - an incredible milestone, just fourteen months after its release. But that achievement came as a result of Microsoft's clumsy, heavy-handed approach to 'encouraging' Windows 7 and 8.1 users to upgrade to the new OS, using methods that won the company few friends, resulting in scathing criticism from both its customers and the media. 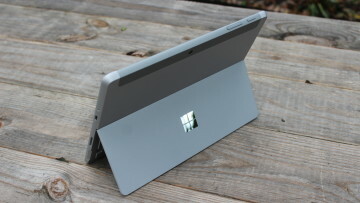 Last week, Chris Capossela, Microsoft's chief marketing officer, admitted to Mary Jo Foley and Paul Thurrott on the Windows Weekly podcast that that approach had been "too aggressive". Microsoft also admitted in July that it would fail to meet its target of a billion Windows 10 devices by 2018. Bizarrely, the company blamed that on its phone business, despite Windows phones never having contributed any significant volumes to its device sales. Indeed, just a few months after Windows chief Terry Myerson announced that target in 2015, Microsoft wrote down $7.6 billion on its phone business, along with the loss of 7,800 jobs, in the first round of a major restructuring - and downsizing - plan. The effects of that restructuring had a devastating impact on the Windows phone platform in 2016. 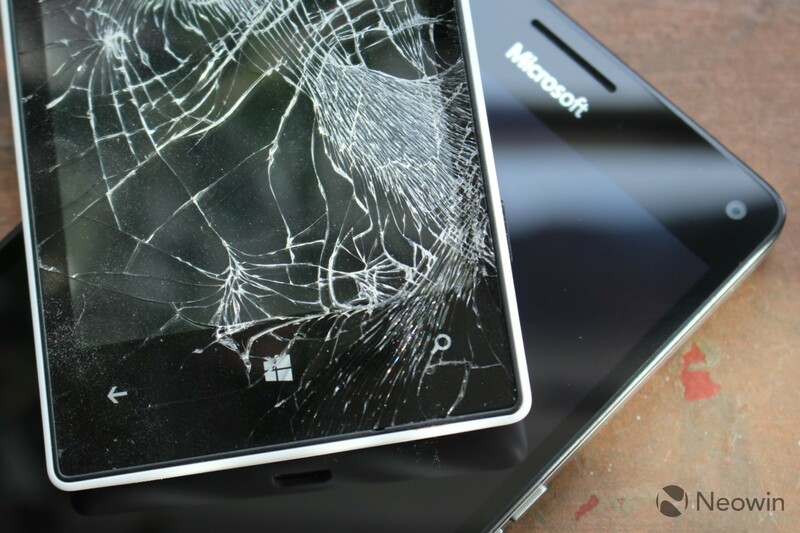 Microsoft launched the last of its four Windows 10 Mobile devices in February, the Lumia 650, and all four handsets are now at the end of their retail lives, having sold out in several markets, with no direct replacements on the way. Only a handful of manufacturers have so far signed up to launch Windows 10 Mobile devices, and those that did sold their handsets in meager numbers. IDC estimates that Windows' share of the global smartphone market will be just 0.4% by the end of 2016. Given that 97% of Windows 10 Mobile devices in use are Microsoft Lumias, the company's retreat from the phone hardware market doesn't bode well for its mobile ecosystem. But while things may now appear bleak for Windows handsets, the future may well be a bit brighter. 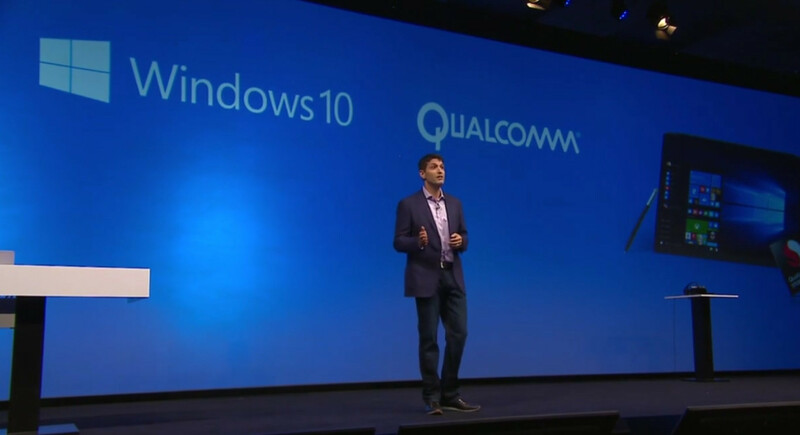 Earlier this month, Microsoft made a major announcement, revealing its plans to bring the full-fat Windows 10 OS to next-generation devices with the latest Qualcomm Snapdragon processors. Even more excitingly, it promised support for desktop-class 32-bit x86 applications on these devices through emulation. While many expect that to lead to more power-efficient notebooks and tablets being released in 2017, that announcement naturally led to speculation about the prospect of Microsoft's much-rumored 'Surface phone', which could arrive as early as next year. In August, Microsoft released the Windows 10 Anniversary Update, bringing it to PCs, phones, HoloLens, the Xbox One, and many more devices. 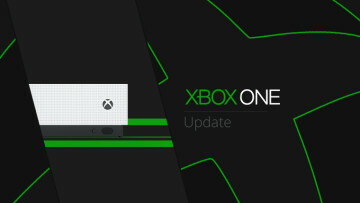 Compared with the more modest November Update in 2015, the Anniversary Update was a major overhaul for the OS, bringing a vast range of new features and significant improvements, including upgrades to Cortana, a revamped Action Center, more customization features, a better Windows Ink experience, and a lot more. The update was warmly welcomed by users, although its rollout was tainted by freezing problems that affected some PCs, as well as a very unpleasant issue that disabled millions of webcams. In October, Microsoft announced details of its next major Windows 10 release, known as the Creators Update, which will also bring a broad selection of new features and enhancements to the OS when it arrives in early 2017. That announcement came alongside the launch of an exciting new device. 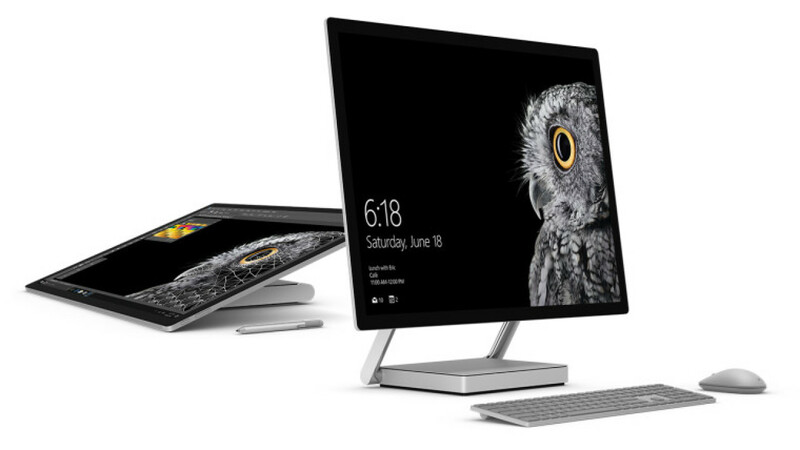 Microsoft unveiled the Surface Studio, an all-in-one desktop PC with a focus on creativity. It features a 28-inch touchscreen with support for its Surface Pen, allowing users to draw and write directly onto the display. Microsoft earned itself widespread praise for the machine, which it says has the thinnest LCD monitor ever built. Many observers commented with surprise that Microsoft had built such a device, saying that it was the PC that Apple should have built. High praise indeed, particularly at a time when many in the creative industries have voiced displeasure at how little Apple seems to care for them these days. Along with the Surface Studio, Microsoft also introduced the Surface Dial, "a new tool for the creative process". The rotary input device can be placed directly onto the Surface Studio's display to offer quick access to context-sensitive features and menus, not just in 'creative' scenarios, but also across other types of app. The Dial is also compatible with other Windows 10 devices, to varying degrees. While Apple turns its back on some of its most loyal customers, Microsoft has been embracing users of all kinds, on all platforms. In February, it acquired cross-platform app development specialists Xamarin, and a few weeks later, it announced that those developer tools would be open-sourced and made available free to devs. It was a stunning announcement, underlining Microsoft's commitment to offering the best and most complete software development experience. 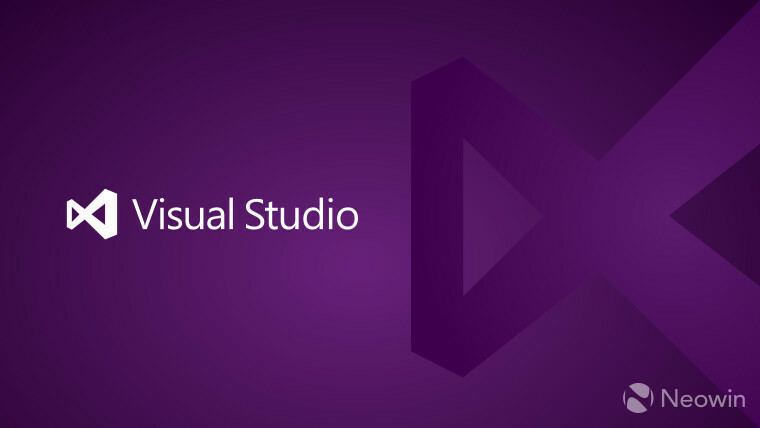 That acquisition enabled Microsoft to launch Visual Studio for Mac in November, as well as rolling out a release candidate for Visual Studio 2017, and introducing the Visual Studio Mobile Center, which it described as "a mission control for mobile apps", making development for phones and tablets a smoother and less complex process. Microsoft stayed true to its commitment to embrace cross-platform development throughout 2016, not just for other developers, but also for itself. In addition to releasing all sorts of apps for iOS and Android over the last twelve months, the company raised quite a few eyebrows in November when it announced that it had joined the Linux Foundation as a platinum member. 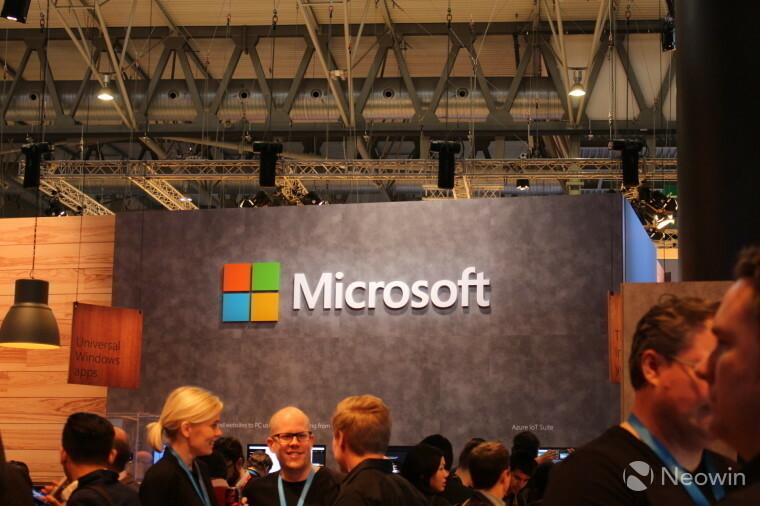 Jim Zemlin, executive director of the Foundation, said that Microsoft would now be "better able to collaborate with the open source community to deliver transformative mobile and cloud experiences to more people". 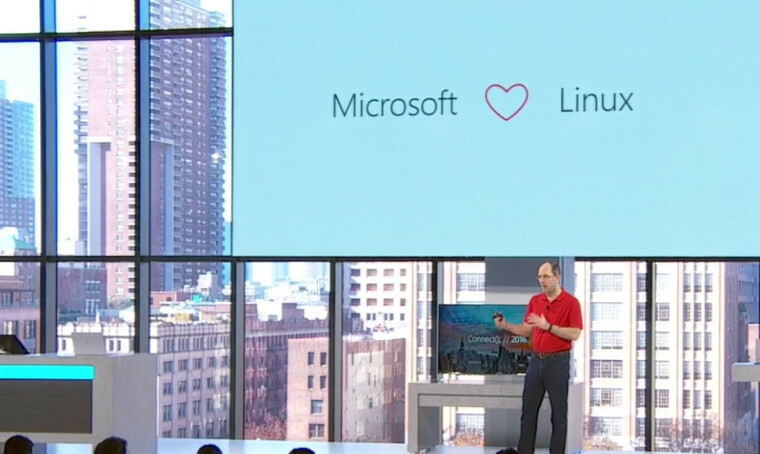 Coinciding with that announcement, Microsoft also announced a public preview of SQL Server on Linux. This technology will change how we relate to technology. It will change how we relate to each other. I would argue that it will even change how we perceive what it means to be human. As part of its ambitions behind the new research group, Microsoft said that it planned to "build the world's most powerful AI supercomputer with Azure and make it available to anyone, to enable people and organizations to harness its power." 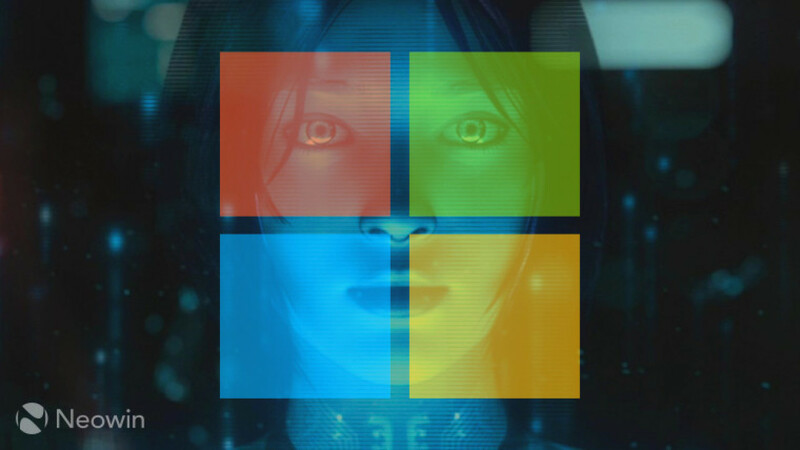 It also promised that it will "harness AI to fundamentally change human and computer interaction through agents as Cortana". This month, the company took a big step towards exploring the full potential of its digital assistant when it announced the new Cortana Skills Kit and Devices SDK. With these new tools, companies will have the ability to connect to the assistant in more diverse ways than before, creating a much broader range of user experiences. Manufacturers will also be able to build their own devices powered by Cortana, the first of which was teased a couple of weeks ago by Harman Kardon. Microsoft's latest quarterly financial report revealed a strong set of results across many parts of its business, with a remarkable year-over-year increase of 51% in its Office 365 commercial revenue, 11% revenue growth in Dynamics, and a staggering 116% rise in revenue from its Azure cloud services, with Azure compute usage more than doubling in twelve months. Its success throughout the year pushed the company's share price to an all-time high in October, and it ended 2016 even higher than that. The markets were watching Microsoft closely in June, when it announced its purchase of professional networking platform LinkedIn, in a deal worth around $26.2 billion - its largest acquisition to date. 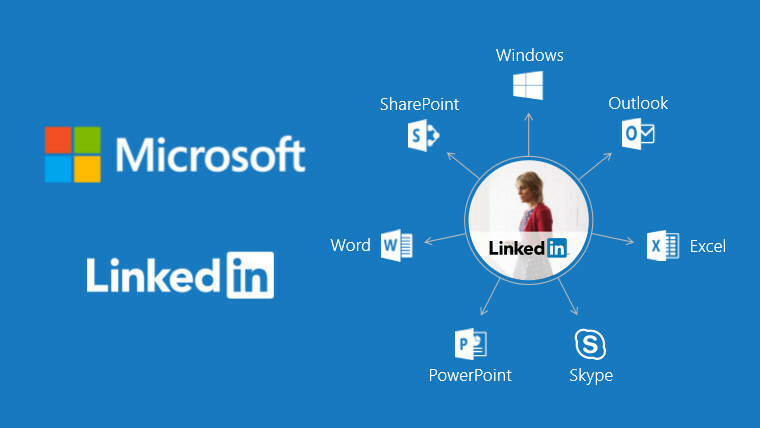 There are some very good reasons for that acquisition, despite its enormous cost, and now that the deal has been completed, Microsoft has begun the process of integrated LinkedIn with the rest of its services. 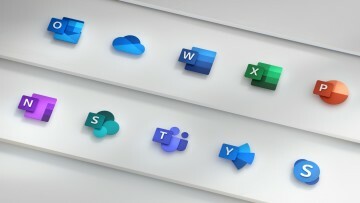 Microsoft further boosted its proposition for professionals around the world in November with the launch of Teams, a new "chat-based workspace" for Office 365, designed to take on Slack. But it hasn't been all work and no play for Microsoft over the last year. At the E3 gaming expo in June, Microsoft revealed its Xbox Play Anywhere program, enabling people to buy a game once and then play it on either their PC or Xbox One at no extra cost, rather than having to pay twice for the same title on different devices. The first Play Anywhere game was ReCore, which arrived in September, but Microsoft hopes that more games publishers will support the feature in the months and years ahead. At the same event, Microsoft also unveiled the Xbox One S, an updated (and much smaller!) version of the console that it launched in late 2013. With support for HDR and 4K video, the Xbox One S has been keenly priced in bundles starting at $299, which usually include a free game - and there have many other promotional deals since its launch to further entice buyers. That's certainly helped to boost the new console's appeal, after years of being consistently outsold by its PlayStation 4 rival. In November, combined sales of the Xbox One and One S grabbed 56% of the UK market, while in the US, Microsoft's consoles outsold the PS4 for four months in a row. 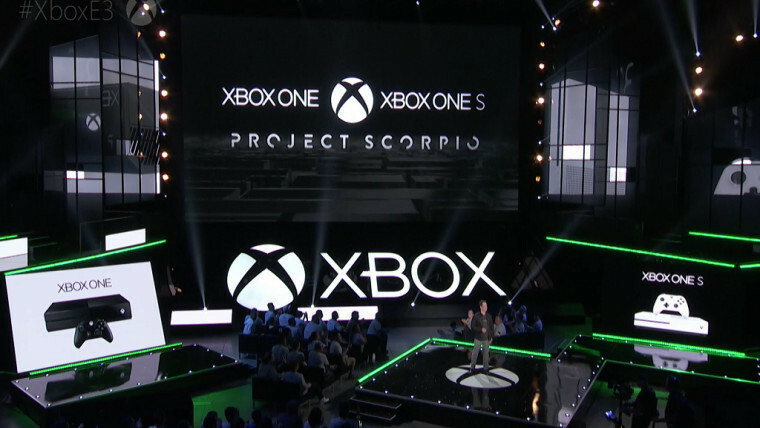 But Microsoft also made one more tantalizing announcement at E3: Project Scorpio. Described as the "most powerful console ever", it will include support for native 4K gaming and virtual reality... but there's a long wait ahead, as it's not expected to arrive until the end of 2017. We'll be taking a closer look at what else we can expect from Microsoft during the year ahead in another article, but for now, let me suggest something else that you might enjoy. Rich Woods and I got together to discuss what we're looking forward to across the tech world over the next twelve months, so be sure to check that out here: Scorpio, Surface and sweet, sweet phones: A look ahead to what we're excited about in 2017.